[R]emarkably he recovered to remount his bike and place third. ... Awang, though, soon stopped after the finish line, collapsing in agony with his calf pierced by the wood before he was taken away on a stretcher. 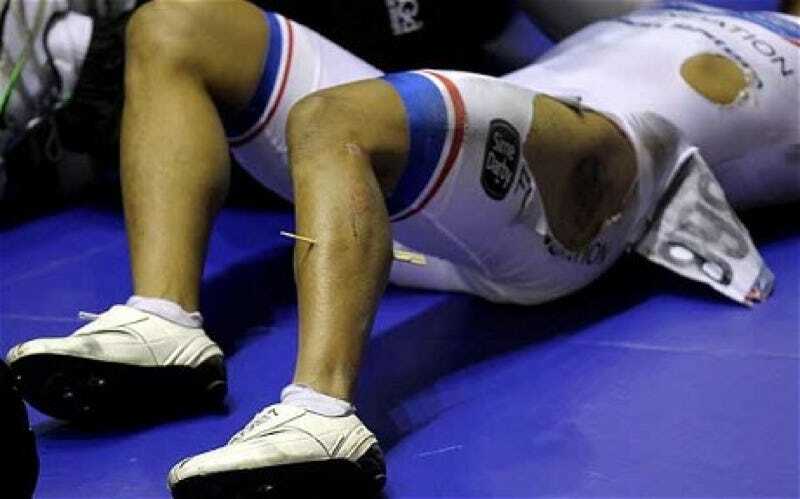 A Malaysia team official said: "He has no broken bones, it's just the splinter. They will have to pull it out after the specialist confirms the best way to do it."